Trying to browse the internet quickly, even on the fastest smartphones, has become much harder in recent years. Advertisements take up valuable screen real estate, and can cause your phone's browser to slow to a crawl. Even worse, some sites *coughWikiacough* have taken to using full-screen advertisements and other popups. As Jean-Luc Picard once said, "The line must be drawn here! This far, no further!" Google has taken the offensive in the battle against intrusive mobile ads, using their influence as the most popular search engine as leverage. Starting on January 10, 2017, pages with content not easily accessible on mobile "may not rank as highly," according to Google's blog post. 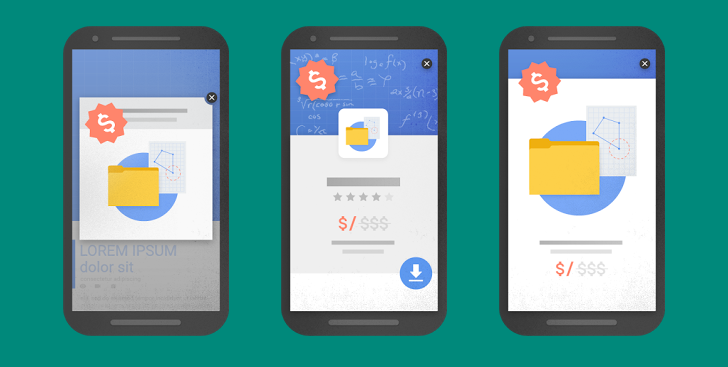 Google is targeting interstitial ads, the ones that cover up most (if not all) of the screen. They define these as popups that cover the main content, or ones that must be dismissed by the user before reaching the content. This rule has some exceptions, such as age verification/cookie usage messages, login pages, and banners that take up "a reasonable amount of screen space." Don't expect major shifts in search results come January 2017 from this move, Google reminds us that this is "just one of hundreds of signals that are used in ranking." At the very least, this may cause some websites to reconsider their advertisement formats. The original Google Webmaster post announcing this change has been updated on January 10 to say that the new measures are now effective.